Sustainability – Plast-O-Matic Valves, Inc.
Green Manufacturing Initiatives at Plast-O-Matic Valves, Inc. Since 1967 all manufacturing processes produce zero-emissions/zero-effluent. Solar power provides 80% of the company’s energy usage. 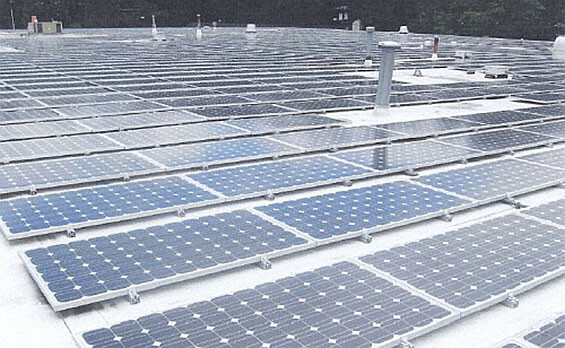 In 2007 Plast-O-Matic worked closely with NJ Board of Public Utilities and NJ Clean Energy Program to design a state-of the-art 231 kw solar panel roof featuring Solar Save roofing membranes. Construction began in 2008 and was completed during 2009. Solar power has reduced our carbon footprint by 195 tons of CO2, 1.5 tons of sulfur dioxide, and 3/4 tons of nitrogen oxide per year. Please click here for more information. In 2007 the factory was converted to 100% CFL lighting, which use one-third the energy of the previous halogen lighting, and reduces total mercury emissions by 36%. Since 1974 Plast-O-Matic has been converting high volume products from machining processes to molding processes. In some cases this cuts raw material waste by as much as 93%. Since 1994 machining lubricants are 100% recirculated and recycled. Usable PVC and polypropylene machining and molding waste is cleaned and recycled. The balance of our machining and molding waste is compacted, then converted to energy at the Covanta Essex facility in Newark, NJ. Covanta combusts 2800 tons of waste per day to generate 65 megawatts of power, and is rated as an OSHA VPP Star Facility. Packaging cartons and materials are recycled and biodegradable. 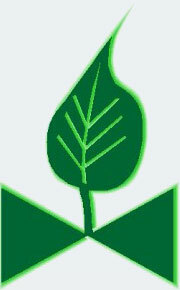 Product recycling and disposal statement, please click here. The universal valve symbol and green leaf represent our 40 year commitment to reuse, recycling and environmentally sustainable initiatives.